Kitted Product. May Not Show Stock. 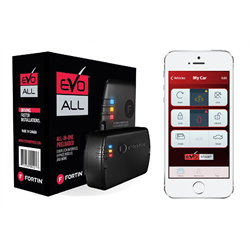 Start Your Car From Anywhere: The EVO-START2 is the fastest starter for your smartphone! 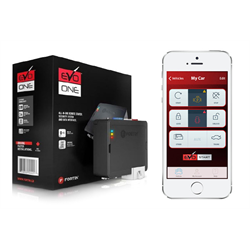 Security: The EVO-START2 will inform your with a pop-up of every diagnostic your car has. You will be informed wherever you are! 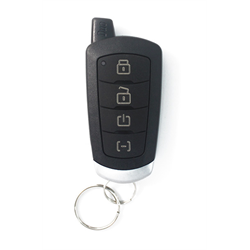 Lock and Unlock: The EVO-START2 allows the user to use their smartphone as the OEM remote but with a much larger range. 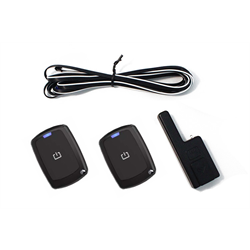 Lock and unlock your doors with your smartphone! 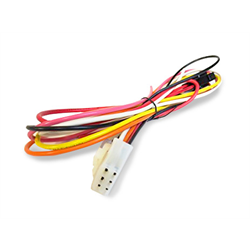 Temperature: With the EVO-START2 you will know the exact temperature inside your car when used with the EVO-ONE or E400. Sliding Doors: Open your sliding doors with your smartphone. The application gives you full control of your sliding doors! 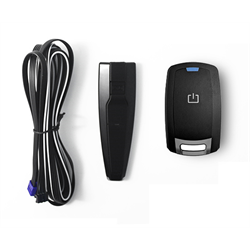 Alarm: The application supports the alarm activation and will inform you of any infraction that occurs with your vehicle. Running Time: The EVO-START2 has a timer display on the interface to show you how much time is left on your timer. Trunk: The EVO-START2 will let you open the trunk of your vehicle directly from your smartphone! Control All of Your Vehicles: The EVO-START2 will let you have complete control of all your vehicles. 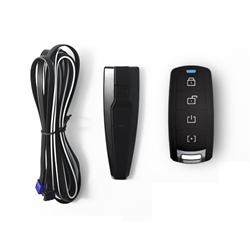 With one application you can control an unlimited amount of vehicles! 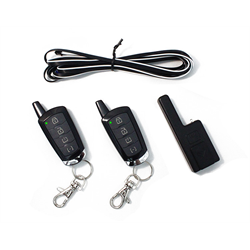 Multiple vehicles and users: You can allow up to 3 secondary users to control your vehicle, and you may have an unlimited number of vehicles in a single application. PIN feature: You can configure a 4-digit PIN to prevent unauthorized access to the application control screen. 900 MHz wireless network: The system is being operated using the Otodata Wireless Network, which currently covers a vast territory in Quebec. 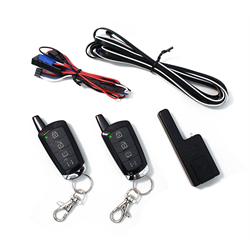 You will be surprised by how fast the system works compared to traditional remote key fob or cellular based car starters! STEP 1: The owner must generate a custom code with the application. STEP 3: The new user must register the vehicle in the application (if not already registered) and activate using the newly generated code. NOTE: Will only function in Ontario and Quebec. Please click here for Ontario / Quebec coverage and more information.